Since its inception in 2000, American Commodity Company has grown from a rough rice marketing pool to a fully integrated rice company. The rice we market is sourced from our ownership group as well as selected rice growers who have chosen ACC to handle and market their production. We own and operate multiple drying and storage facilities that are strategically located throughout the California rice-growing region. 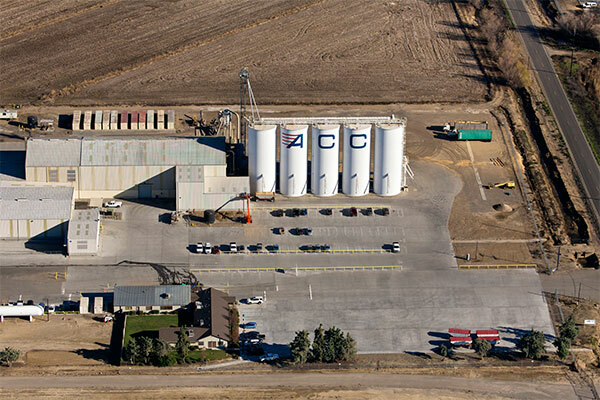 These operations are anchored by a full service milling and packaging plant in Williams, CA. This facility incorporates the newest technology, giving us the ability to economically deliver the very highest quality finished product to discerning customers throughout the US and around the world. Our customers range from wholesale distributors and grocery chains to food manufacturers who use our rice to produce and market a wide variety of goods made up wholly or in part of rice and rice co-products. The Company’s dual objectives are: (1) to develop and maintain premium markets in a manner which generates top returns to the selected growers who enjoy annual contractual relations with ACC; and (2) to guarantee our worldwide customer base a reliable supply of the highest quality rice available at prices which assure our customers an opportunity to prosper in their marketplaces.